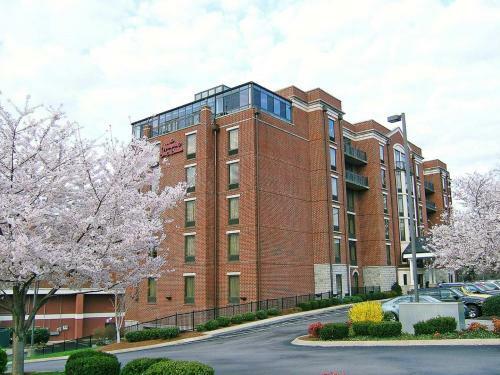 Adjacent to the Mall of Green Hills shopping center and a short drive from downtown Nashville, this hotel is close to attractions and offers comfortable guestrooms and a free hot breakfast. Within driving distance of the Hampton Inn and Suites Nashville-Green Hills, is the Country Music Hall of Fame, the State Capitol and the Cumberland Science Museum. Guests can also easily visit Vanderbilt University as well as the city's famous Music Row area. The Nashville-Green Hills Hampton Inn and Suites provides guests with comfortable Cloud Nine beds, free high-speed internet access and an on-site fitness center, complete with a swimming pool. 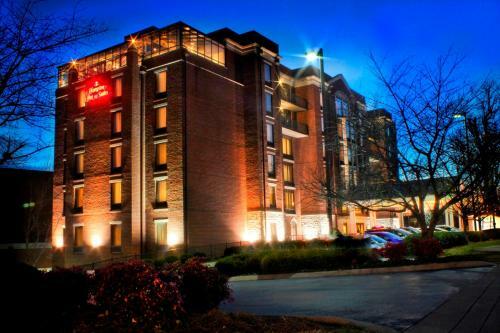 the hotel Hampton Inn & Suites Nashville-Green Hills so we can give you detailed rates for the rooms in the desired period.